April was a busy month bringing in spring with a bang. Did everyone have a happy Easter? Ready for school to be out for summer! My reading time has been so not around lately with the added homework being piled on the kids these last few weeks. Dance took a break for April, but it looks like my Mother’s Day will be spent at a dance competition. Not my idea of a great Mother’s Day, but oh, well. Sophia looks to be gearing up for the release of her new story in the Darcy Monologues. Congratulations Sophia Rose! Well, that’s about it. Just a quiet month moving at the speed of light. Silver Silence is the reboot of the Psy-Changling series. I was expect time to jump and go onto the next generation, but we don’t move forward much, but instead get Silver Merchant’s story. She is the admin to Krycheck. This had me in tears at one point and if you can get me to cry, then it’s a good book. Well if this April’s showers are anything to go by, we ought to have a humdinger of a May flower explosion. And, incidentally, people around here lose all sense of humor when there are days on end of chilly rain. I got growled at for singing the Winnie the Pooh rain song and I was the one with the flat tire, go figure. April was a busy month for me and one of the highlights was that an anthology I’m part of, The Darcy Monologues is out on blog tour and the pre-order campaign has begun. 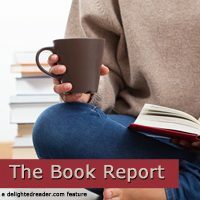 I was tickled pink to get my very own author interview and review post at Debbie’s The Reading Frenzy blog. Thank you, Debbie, for being the hostest with the mostest (no, spellcheck, I do not mean moistest). Did I ever mention in passing that my lucky editor won an all expenses paid trip for one week to London and a dinner with Henry Cavill??? Pretty fab, right? So this was my April… how did your April go? Read a lot? Catch spring fever and couldn’t settle for a book or a mood? How are you doing on your challenges? Do Tell! Did you miss a review? No fear! Here’s what we wrote about in the month of April. Impressive Sophia! Sherry I am working on the first Psy-changeling series but excited about the spinoff. I’m on the first PsyChangling series, too, but almost caught up in time to read Silver Silence for release day. Such a great series. Congrats to you, Sophia! Exciting stuff with the anthology. Shari, I love how these things get scheduled on Mother’s Day, Father’s Day, etc. We will be spending Father’s Day getting my daughter to camp and settled in. Oh well, what can you do. Have a great May! Yes, I’m so excited and it still feels surreal. 🙂 Thanks, Carole! This month did fly by. I’ve heard so many people crying over the Psy Changeling one. Sophia, girl, I don’t know how you do it all. Man that’s an impressive list! Yeah, fast month. 🙂 And, I teared up for several of those.